Rufus Youngblood was born in 1924. After graduating from the Georgia Institute of Technology he found work with Bradshaws, a refrigeration and air-conditioning company in Waycross. Later he became a consulting mechanical engineer in Atlanta. After the bombing of Pearl Harbor Youngblood joined the US Air Force and was later was wounded in an air raid over Nazi Germany. Youngblood joined the Secret Service in March, 1951 as a criminal investigator in Atlanta. Two years later he was assigned to Washington and later went to work in the White House where he helped to protect Harry S. Truman and Dwight Eisenhower. In 1961 he was given responsibility to look after the safety of Vice President Lyndon B. Johnson. On 22nd November, 1963, President John F. Kennedy arrived in Dallas, Texas. It was decided that Kennedy and his party, including his wife, Jackie Kennedy, Vice President Lyndon B. Johnson, Governor John Connally and Senator Ralph Yarborough, would travel in a procession of cars through the business district of Dallas. A pilot car and several motorcycles rode ahead of the presidential limousine. As well as Kennedy the limousine included his wife, John Connally, his wife Nellie, Roy Kellerman, head of the Secret Service at the White House and the driver, William Greer. The next car carried eight Secret Service Agents. This was followed by a car containing Lyndon B. Johnson and Ralph Yarborough. This car also contained Rufus Youngblood. At about 12.30 p.m. the presidential limousine entered Elm Street. Soon afterwards a shot was fired. Secret Service agent Roy Kellerman said to the driver, William Greer, "let's get out of here." However, Greer hits the breaks. 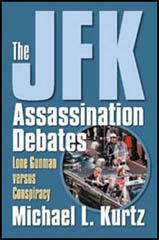 More bullets were fired and John F. Kennedy was hit by bullets that hit him in the head and the left shoulder. Another bullet hit John Connally in the back. As soon as Youngblood heard the first shot he immediately turned and pulled the vice president below window level, then climbed over the seat and covered his body with his own. Youngblood received the Treasury Department's Exceptional Service Award for "outstanding courage and voluntary risk of personal safety" for his action under fire. Youngblood was with Kennedy's body when it was taken back to Washington. This has raised suspicions about the motives of Johnson, but this is rejected by Youngblood: "I was telling Johnson that the safest thing for us was to get out of there and get back to Washington. He said that we were not leaving without Mrs. Kennedy, and she wasn't leaving without her husband's body. There was nothing sinister about it. Some people are just trying to make something up that isn't really there." In 1964 Lyndon B. Johnson remarked "My life is in the hands of Georgia and it is 24 hours a day under the direction of Rufus Youngblood, and no greater or more noble son has this state ever produced, and no braver or more courageous man." The following year Youngblood was promoted to assistant director of the Secret Service. In 1968 Youngblood became deputy director of the Secret Service at the White House. After retiring in 1971, Youngblood and his wife moved to Savannah, Georgia, where he sold real estate. Rufus Youngblood died in Savannah, Georgia, on 2nd October, 1996. Arlen Specter: What is your best estimate of the speed of the Vice President's car as you proceeded down Houston Street toward Elm Street? Arlen Specter: Will you describe just what occurred as the motorcade proceeded past the intersection of Houston and Elm Streets? Arlen Specter: Before you go on, Mr. Youngblood, let me drop back and pick up a few of the details theretofore. What would your best estimate be of the speed of the Vice President's car at the time you heard that first explosive noise? Rufus Youngblood: Oh, approximately 12 miles an hour. Arlen Specter: And had you maintained the distance which you have described heretofore behind the President's followup car? Arlen Specter: And how far behind the President's car was the Presidential followup car at the time of the first shot? Rufus Youngblood: I would think somewhat less than a car length. Arlen Specter: What is your best estimate of the total timespan between the first and third shots which you have already described? Rufus Youngblood: From the beginning to the last? Rufus Youngblood: I would think 5 seconds. Arlen Specter: And you have described the first shot as being an explosive noise. How would you describe each of the second and third shots? Rufus Youngblood: Well, there wasn't too much difference in the noise of the first shot and the last two. I am not really sure that there was a difference. But in my mind, I think I identified the last two positively as shots, whereas the first one I thought was just an explosive noise, and I didn't know whether it was a firecracker or a shot. It seems, as I try to think over it, there was more of a crack sound to the last two shots. That may have been distance, I don't know. Arlen Specter: Now, did you have any reaction or impression as to the source or point of origin of the first shot? Rufus Youngblood: I didn't know where the source or the point of origin was, of course, but the sounds all came to my right and rear. Arlen Specter: Now, how about as to the latter two shots, would the same apply, or would there be a different situation there? Rufus Youngblood: No; all of them seemed to sound that they were from the right. During the motorcade, I instructed our driver to keep some distance (about two or three car lengths) behind the Presidential follow-up car while we were going at slow speeds. The motorcade had just cleared the congested downtown area and made a right turn. I recall observing an illuminated clock sign on a building - the time was 12:30 p.m., which was the time we were due to be at the Trade Mart. The motorcade then made a left turn, and the sidewalk crowds were beginning to diminish in size. I observed a grassy plot to my right in back of the small crowd of bystanders on the sidewalk - some tall buildings - a downhill grade ahead where the street went under what appeared to be a railroad overpass. We were about two car lengths behind the Presidential follow-up car at this time. I heard an explosion - I was not sure whether it was a firecracker, bomb, bullet, or other explosion. I looked at whatever I could quickly survey, and could not see anything which would indicate the origin of this noise. I noticed that the movements in the Presidential car were very abnormal and, at practically the same time, the movements in the Presidential follow-up car were abnormal. I turned in my seat and with my left arm grasped and shoved the Vice President, at his right shoulder, down and toward Mrs. Johnson and Senator Yarborough. At the same time, I shouted "get down!" I believe I said this more than once and directed it to the Vice President and the other occupants of the rear seat. They all responded very rapidly. I quickly looked all around again and could see nothing to shoot at, so I stepped over into the back seat and sat on top of the Vice President. I sat in a crouched position and issued orders to the driver. During this time, I heard two more explosion noises and observed SA Hickey in the Presidential follow-up car poised on the car with the AR-15 rifle looking toward the buildings. The second and third explosions made the same type of sound that the first one did as far as I could tell, but by this time I was of the belief that they definitely were shots - not bombs or firecrackers. I am not sure that I was on top of the Vice President before the second shot - he says I was. All of the above related events, from the beginning at the sound of the first shot to the sound of the third shot, happened within a few seconds. 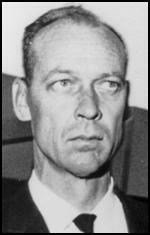 Rufus W. Youngblood has more than a passing interest in the assassination of President John F. Kennedy. Like millions of A Americans, the 1950 industrial engineering graduate remembers exactly where he was and what he was doing on November 22, 1963. He was riding in a motorcade in downtown Dallas. As the special agent in charge of the vice presidential Secret Service detail, Youngblood rode in an open Lincoln convertible with Lyndon Johnson, Lady Bird Johnson, Texas Sen. Ralph Yarborough and a driver. Only a Secret Service follow-up car separated him from the president's limousine, and the violence that unfolded there with graphic finality on a warm Dallas afternoon 28 years ago. Who killed Kennedy? It's a question Youngblood has been asked hundreds of times, and his firm answer defies popular opinion: "Lee Harvey Oswald." "I support the findings of the Warren Commission. (Conspiracy theorist) have had investigation after investigation, and nobody has come up with anything concrete. Nothing." Actor Kevin Costner "should have stuck to dancing with wolves," Youngblood says tartly, referring to the movie "JFK." 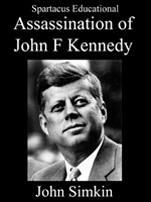 Although he says that he has not seen the Oliver Stone film, he is familiar with its premise, which implicates Lyndon Johnson and the secret service in a massive conspiracy to assassinate President John F. Kennedy and cover up the crime. Stone, he notes, "is making a whole bunch of money from it," a motive that he believes drives other conspiracy proponents as well. Youngblood has not read any of the dozens of "conspiracy books" that promulgate theories ranging from CIA plots to French hit-men, but he is generally familiar with their assertions. In particular, he labels as "ridiculous" an upcoming book that blames the assassination of "friendly fire" from a secret service agent. "I don't think any Secret Service guy fired his weapon down there that day. I could look ahead and see (George) Hickey, an agent in the president's follow-up car, who had the AR-15 (rifle). He stood up and looked, but didn't see anything to fire at." Kennedy's body was removed from Parkland Hospital by the Secret Service and flown back to Washington aboard Air Force One, technically a violation of Texas law which states that homicide victims must be autopsied in-state. Many conspiracy proponents point to that as evidence of Secret Service complicity in an assassination cover-up. "That's nitpicking," Youngblood says. "I was telling Johnson that the safest thing for us was to get out of there and get back to Washington. He said that we were not leaving without Mrs. Kennedy, and she wasn't leaving without her husband's body. There was nothing sinister about it. Some people are just trying to make something up that isn't really there." Youngblood is particularly bothered because "children growing up are not going to know what to believe because the apparently the adults don't know what to believe," he says, a reference to polls which indicate that over 70 percent of the public does not support the lone-gunman conclusion in the Warren Report. The bi-partisan Warren Commission did a thorough investigation of the crime, including the subsequent killing of Oswald, and reached the most reasonable and logical conclusions, Youngblood says. Acknowledging that there are some "honest skeptics," Youngblood believes that more people would concur with the commissions' findings - if they read them. Inevitably, the conversation drifts back to 1963 and the tragedy that staggered the world - and put Rufus Youngblood's name in a hundred reporter's notebooks. Up until the time the presidential motorcade turned onto Elm Street, "it looked like just another very successful political trip," Youngblood remembers. "They wanted crowds, and they got crowds. As the procession crawled into Dealey Plaza, Youngblood glanced up at the clock on the roof of the Texas School Book Depository. It flashed 12:30. Less than a minute to the freeway, and only five minutes to the Trade Mart, he thought. That instant, piercing through the shouts of the thinning crowd, and the stuttering and backfiring of police motorcycle's, Youngblood heard the shattering crack! of a rifle. His reaction was immediate and instinctive. 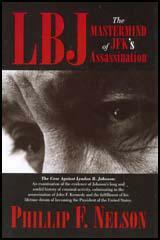 Lyndon Johnson, on the other hand, did not receive universal high marks for his performance after the assassination, mostly from people who felt he jumped into the presidency with more enthusiasm than appropriate or necessary. "I'm really surprised at a lot of the things that have been written," Youngblood says. "Some nasty things have been said about him, and the guy could not have been any more considerate toward the president's family and the president's staff. I mean, not only on that day and the flight back, but through the ensuing months and even years. They didn't treat him as nicely as he treated them." Youngblood is still dogged by the Kennedy assassination - not so much by the past as the present; but the outrageous speculation and accusations of people who literally spent years dissecting decisions made in a few chaotic minutes or seconds. Once upon a time it may have hurt and sometimes it still makes him angry. But mostly, he is just tired of it. "I wish they would just put it to rest," he sighs. "But they won't - not as long as someone can make a buck off it."